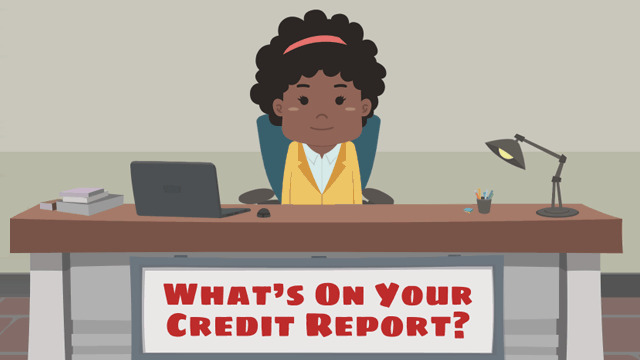 Credit reports are detailed accounts of a person's credit history and payment habits. Lenders use this report to determine whether or not a borrower is liable to default on a home loan. Your credit report is a compilation of your credit history from multiple sources. Your creditors submit information about your borrowing habits: whether you make payments on time, if you’ve ever defaulted on a loan, or if you’ve claimed bankruptcy. These reports go to a consumer credit reporting agency, to compile your credit report. A mathematical algorithm is then applied to the report in order to determine your credit score. Lenders will be looking at this number to decide whether you qualify for a mortgage loan. Review your credit report. If you know what’s in it, you don’t have to waste time and energy with guess work. Check to see if there are any errors, and if so, dispute them. Make payments on time. Missed or late payments, even on credit cards can stay on your record for years, making lenders feel that granting you a mortgage could be a risk. Pay bills with credit cards. Set up utility bill payments online through a credit card account in your name to help establish credit.